Medallion Flower Vases were designed & manufactured based on the requests and specifications of cemeteries in British Columbia and Washington State. They are designed with functionality and durability in mind. Their sleek and simplistic design make the Medallion Flower Vase easy to use and also easy to manage. When not in use for flowers, the Vase can be inverted and placed inside the Holder below the top surface so that it is not exposed and is out of the way for cemetery staff using trimmers and lawnmowers. Medallion Flower Vases are manufactured in Black Granite ONLY, easy to order and provide three order options when purchasing. Most importantly, the Vase will fit in other traditional plastic & metal Holders. They are extremely attractive, durable for extended use into the future and most importantly inexpensive vs. the cost of other flower Vases & Holders. 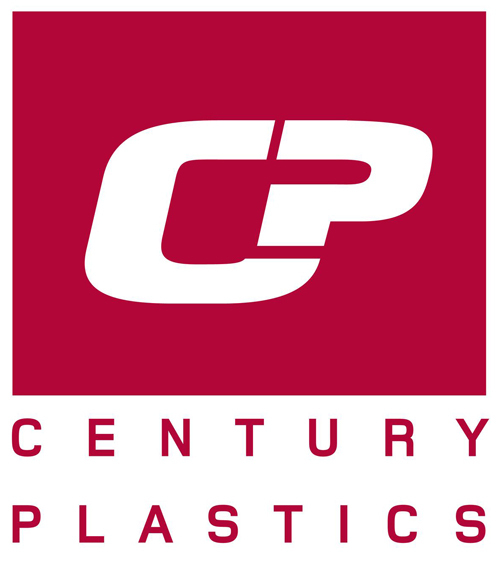 Contact a Distributor - Victoriaville & Co.
H2O CUBE Water Savers were designed and manufactured by Century Plastics. 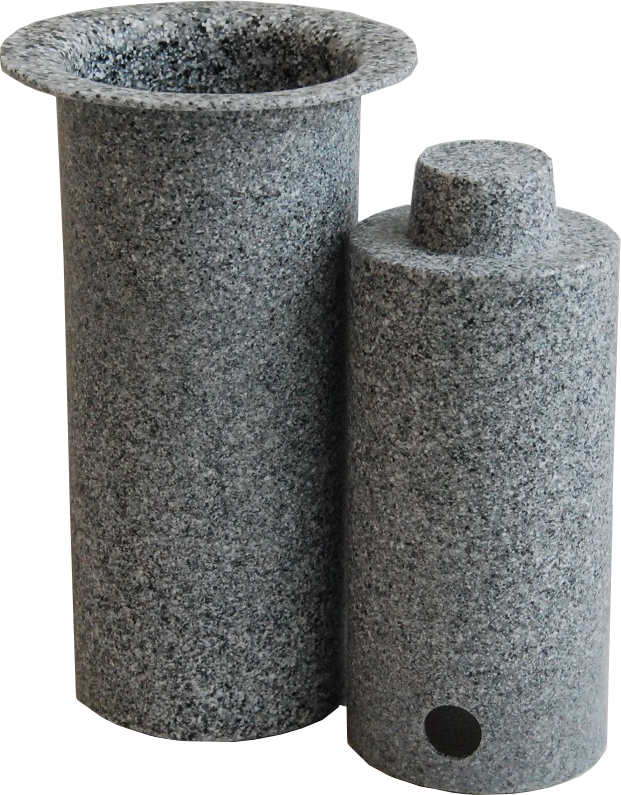 They are available in Forest Green and THREE “FAUX GRANITE” colours: Black Granite, Sandstone & BlackSand. These unique, extremely attractive rain barrels blend in with nearby brickwork or stonework. 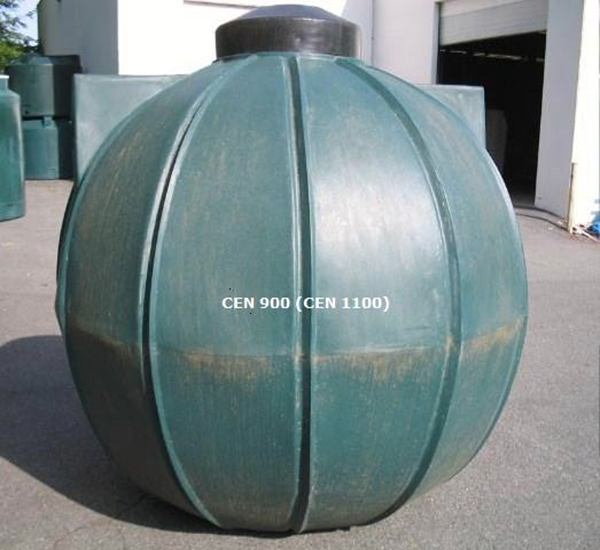 Unlike most other cheaper rain barrels available at retail outlets, H2O CUBES are rotationally molded with thick walls so they are extremely durable and made with UV Resistant materials which will allow them to be used for an extended period of time vs. thinner walled, injection molded products. 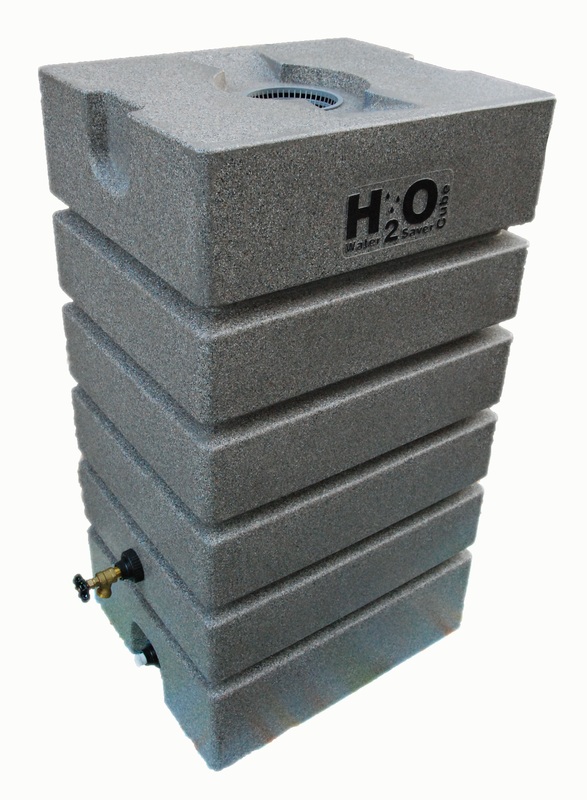 H2O CUBES are unique, attractive products that are shipped with a metal tap and strainer basket. 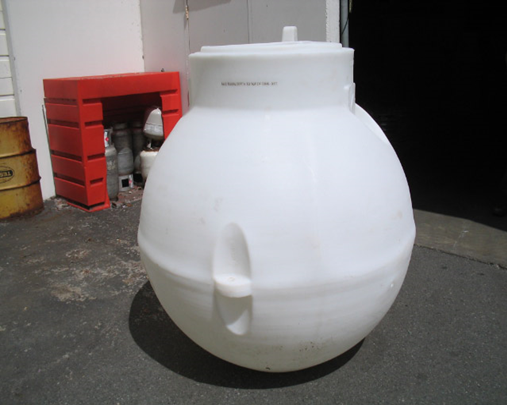 H2O CUBE Water Savers will hold 75 Imperial gallons, 90 US gallons or 345 Litres. Several cemeteries have made it easy & convenient for families to have water readily available for plants & flower arrangements by locating several H2O CUBES throughout the cemetery. They are also ideal for watering plants, garden beds and shrubs near doors & entrances of buildings. Available in three sizes, the Heritage urn vaults are compact, square cut, and are available in two “FAUX GRANITE” colours: Black Granite or Sandstone. Choose from the 11” high H 100, the 14” high H 125, or the 15” high H 150, each with a lid that can be affixed to create a permanently sealed vault. Urn vaults are nestable for easy storage and reduced shipping costs. The cut stone look of these durable plastic urn containers is iconic and reassuring at the interment. We know what makes the difference in cemetery services: special attention to details. That’s why the Heritage urn vaults are made with simple, clean lines, and are durable by design using the finest available materials. Each vault has enough space for personal items to be lovingly placed with the urn. Families appreciate the final view of memorabilia lovingly placed next to the urn. The Silhouette is a cylindrical cremation urn vault that stands 12″ high and is 12″ in diameter. It is available in Black Granite and Sandstone. Your families will find the “FAUX GRANITE” look of the Silhouette urn vaults reassuring. At the graveside, the classic look of carved granite provides a more calming, dignified final view when compared to other plastic or fibreglass urn vaults. The Silhouette is ideal for in-ground burial, or placement in memorial walls and columbariums, and has enough room to include personal items with the urn. Those who work in the cemetery and funeral industry understand: details make a difference during times of loss. To help manage costs, vault urns are nestable for easy storage and lower shipping costs. All urn vaults are durable and made from the finest materials in a classic, timeless style that matches the urn’s solemn purpose. Contact a Distributor -Viictoriaville & Co. The Companion urn vault (C 300) is a rectangular urn vault with softly contoured edges and corners. 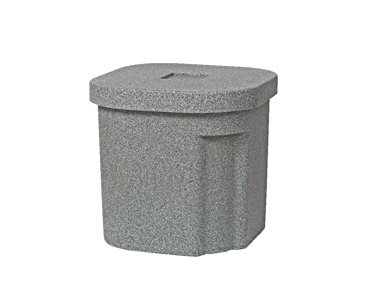 Made to accommodate two urns, each up to 7 1/4” wide, 14 1/2” high, the Companion model is ideal for double interments, which may take place at separate times or different locations. Some sizes and styles are nestable for easy storage and cost-saving shipping. In such cases, the durability and ruggedness of the vault is a major advantage; it will appear solid and untouched when the time comes for the second urn to be placed with the first urn. In addition, vaults have plenty of room for bereaved family and friends to place personal items with urns. Their last image will be a comforting one: a collection of items, symbols of caring, and memories carefully placed next to their loved one. Medallion’s Cremation Urn Vaults are built strong and long-lasting; constructed with the finest materials available. The result is a highly functional, multi-purpose product with a classic look. The Tranquility urn vaults are our horizontal, mantle-style vaults that are able to accommodate two urns, each up to 7″ wide, 10″ high. 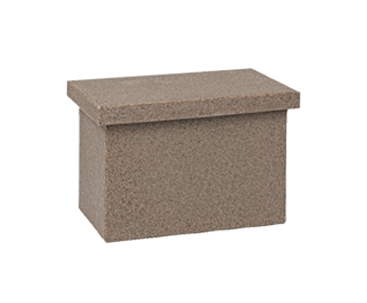 This clean, rectangular container is available in Black Granite or Sandstone (as shown) and features a fitted lid. Vaults are nestable for simple storage and lower shipping costs. The cut-stone look of these durable plastic urn vaults is iconic and reassuring during services. Made with the finest molded materials, the durability and ruggedness of the Tranquility vault provide a major benefit; it will be intact and secure when the time comes for the second urn to be interred. Vaults have ample space for loved ones to place memorabilia and personal items with the urns. The smaller of our two casket liner models, the MCL 700 is for stillborn / infant-sized caskets. Our customers tell us their clients find the “FAUX GRANITE” coloring of the liners solid-looking and comforting. 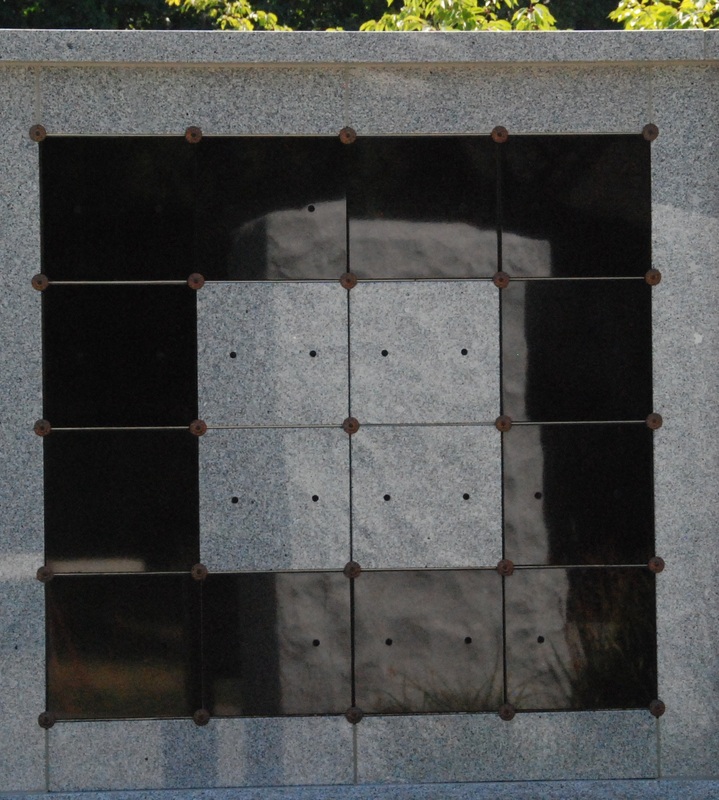 At the graveside, the clean look of cut granite provides a more calming, dignified final view than other industrial-looking plastic or fibreglass liners. As anyone who works in the cemetery and funeral industry knows: details make the difference during times of loss. We make our liners durable by design using the finest materials that are available. Our casket liners provide a classical, dignified look for families going through an emotionally draining time. Each liner has room to allow the bereaved to place tokens of love, memorabilia and favourite items next to the casket. The larger of our two casket liner models, the MCL 750 is for child-sized coffins. 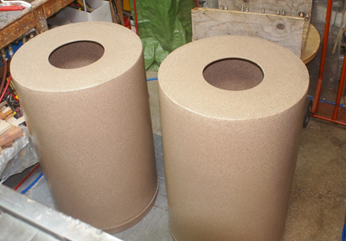 These molded plastic liners feature a solid-looking, cut-stone appearance, in either Sandstone or Black Granite. The rugged, enduring look of the liners gives a touch of solemnity and a more comforting final view to bereaved families and loved ones. The MCL 750 casket liners are durable by design and made with the finest plastic materials. The classic, iconic look of granite is actually true to the durability of the product, which features the most robust materials molded into a uniquely strong design. The LEGACY is another horizontal vault. Overall, it has a “soft looking” appearance with its rounded corners and edges on both parts of this vault plus a two-tiered contoured lid which enhances the overall appearance. 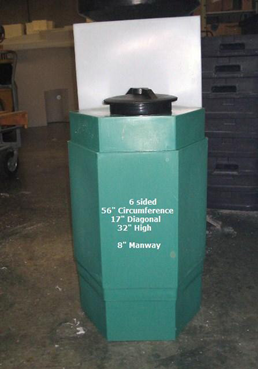 The LEGACY is large enough to accommodate one single large, horizontal urn 21” long, 11” wide & 10” high. TWO narrower urn vaults will also fit in the LEGACY. The design of the LEGACY allows it to be considered for other possible uses other than simply a container to protect cremation urn vault and valuable content. LEGACY might be used as a pleasant looking liner for a very small, infant casket or as a lightweight “bones ossuary”. "...we like using your product and that it was custom designed to meet our needs. That we have received great customer service in meeting our needs and prompt delivery from Medallion Cremation Vaults... the colours and styling are very pleasing and respectful... Century has developed a dignified less expensive alternative for families to purchase rather than urns or other expensive containers. That the families could now place the temporary container (cardboard or plastic containers) received from the Crematorium directly into the Century (Medallion) Cremation Vault which is tasteful and presentable for a graveside service. To add to this depending on the size chosen. A family can place photos, cards or mementoes into the Cremation Vault with the Cremains."